The municipality of Brooke’s Point increased its revenue collection by 63 percent by instituting reforms through the e-BPLS or the electronic Business Permits & Licensing System. 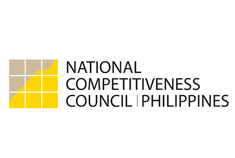 This was revealed yesterday by Brooke’s Point Mayor Boyet Leoncio in his presentation at the National Competitiveness Council’s “Public-Private Partnership Towards Competitiveness” forum held at the A&A Plaza Hotel. He said that the LGU generated P28.4 million net income from January to May this year which is an increase of P11 million compared to the same period in 2010. “The system is very efficient at namo-monitor namin kung sino ang hindi pa nagbabayad sa mga installment at yung hindi talaga nagbayad,” said Mayor Leoncio. With the e-BPLS and under normal conditions, permits, clearances, cedula and licenses can be processed in an average time of 3.75 minutes whether its renewal or a new transaction. Because of this, the municipality was awarded the Good Governance Award from the Department of Trade and Industry, provincial government and the Department of Interior and Local Government. 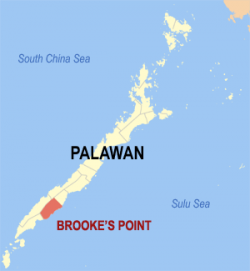 Brooke’s Point is the first municipality in the province and the MIMAROPA region that implemented the e-BPLS. “Napakalaking tulong ng computerization. At the tip of your finger, mapapakita mo agad ang record ng aplikante, no room for corruption and manipulation,” Leoncio said. The whole system of the e-BPLS was implemented last year at P450,000 which was the cost of the software, its installation and the training of the LGU personnel who are involve in its administration. The municipality of Brooke’s Point is the coconut capital of the province boasting of the biggest production volume and largest coconut hectarage. It is located 192 kilometers south of Puerto Princesa City and is noted as the home of the biggest pearl in the world, “Pearl of Allah”.